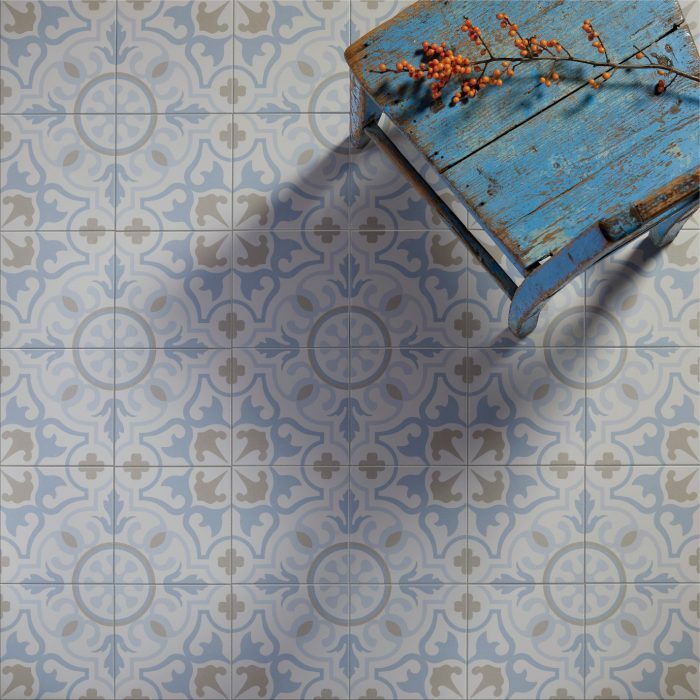 Here, we take a look at the most on trend tile designs for summer and talk about how you can replicate the look to effortlessly transform the mood of your interiors. Whilst yellow may be the most obvious colour we associate with summer, few of us experiment with this as a genuine option for interior colour schemes. This summer looks set to be different. 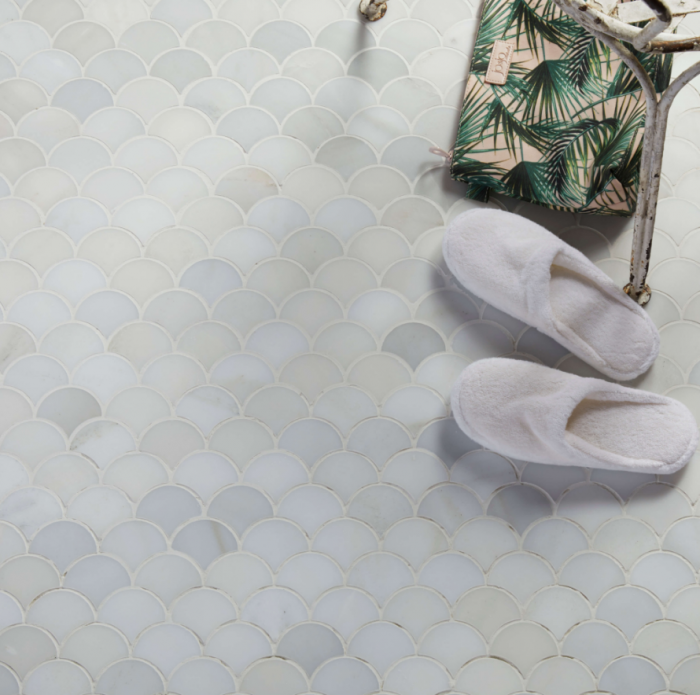 Stay on trend and add an instant summer touch to your room with our beautiful Lattice Sulphur tiles. 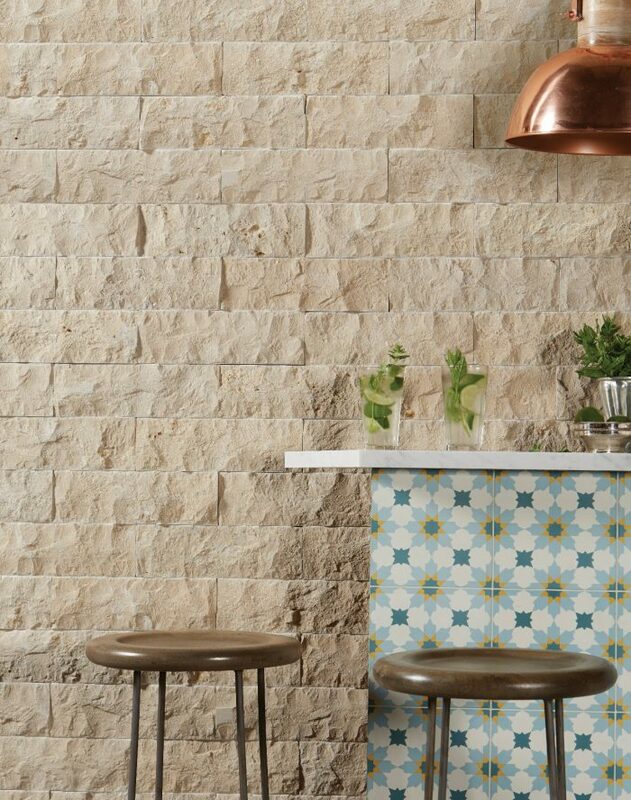 Suitable as a floor or wall tile, Lattice Sulphur will add both character and warmth to your living space. Reminiscent of tile designs typically found in the chic interiors and cafes of Paris, what better way to add a touch of elegance to your interior than with these beautiful handmade tiles. Suitable for internal and external use, bring a touch of glamour from the French capital to your living space. When the temperature outside gets too much, what better way to bring the garden inside than with our new Zen Garden collection of mosaics. The tiles are cut by water jet into beautiful organic shapes to reflect the tranquillity, natural colours and calming aesthetic of a traditional Japanese garden. The small, slender marble bricks are particularly on trend right now, with chevron to scallop shaped tiles proving to be an ongoing theme for 2018. With plain, smooth surfaces now a thing of the past, 2018 is all about character that accompanies textured finishes. Our Rockface limestone brick lends itself to this trend. Perfect for back-drops or creating a stunning focal points, this limestone adds style and charm in equal measure.